We are a unique train shop specializing in G-Scale Trains and Thomas. 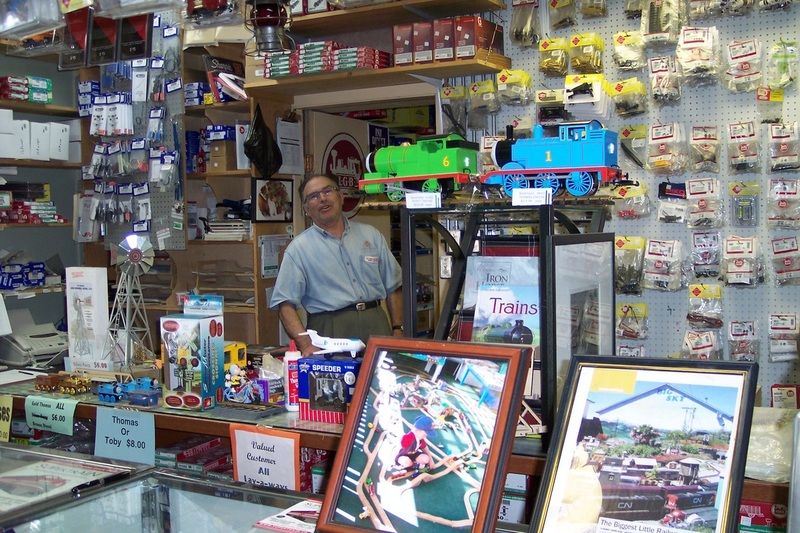 Owner Tony has over 50 years experience with the train hobby. Ultimate Trains aims to give the new G-Scale hobbyist clear advice, while offering instruction of the newest digital equipment. Our shop keeps a great selection of parts and equipment to keep your trains running. See G-Scale Products for more information. Call or email to order any product or visit us in Nanton. We can ship anywhere including Canada, USA, Europe and Australia. Ultimate Trains prides itself on carrying the total line of Thomas stock, including Take-A-Long Thomas. See Thomas Products for a list of what's in stock.